Don't have an account yet? You can create one. As a registered user you have some advantages, such as posting to the forums and creating and voting for polls. Welcome to VNFAWING.com Forums, Guest. - Introducing the UPGRADED VNFAWING Flight Simulation Development Center. This website is dedicated to the ongoing support for the development of FA Futures(FAF) and FA-2 along with keeping abreast of the latest developments in other popular Modern Air Combat Simulators. 12-28-2017 - The VNFAWING.COM Website and Forums are again active on the net after an 18 month downtime due to the loss of the site and database by the host service. THe site was down with no known backup until December 27th when a backup was located and the site reinstituted on the net. The total lost data between the backup (Dec 2015) and the site failure (May 2016) was 5 months. That data is now being manually recreated. 12-27-2017 - The VNFAWING.COM Website and Forums have been renewed for a further 4 years on the web today! 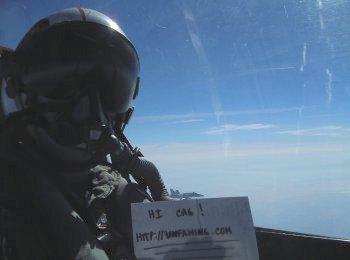 The site and forums will continue to support the armed forces and flight simulations we love the most! 06-01-2015 - The VNFAWING.com Website is currently going thru an update. Issues such as out of date pages, broken or missing links, content no longer browser supported, etc are all being addressed. Layout issues while viewing The VNFAWING.com Website and Forums with the Chrome browser are being solved. The site is now on its way to being fully Chrome compliant and optimized for that browser, while working equally well with IE, Firefox, and Safari browsers. 11-08-2011 - The VNFAWING.COM Website and Forums are back active on the Internet! After a 10 month layoff, the Website and Forums were reactivated today and are open for visitor and member use, including all data archives. The Staff of the VNFAWING Flight Simulations Development Center regrets this delay in the reactivation, and will work diligently in the coming months to re-coop the time loss. 10-02-2010 - Greenwich Mean Time - GMT (Zulu) to Local - Time Conversion Utility (This has no effect on your actual website UTC offset) Ever wanted to know your time offset to ZULU? This Form will solve that for you, all in one easy step. Just select a GMT offset from the popdown list until your correct local time shows in the window. Once accomplished you will know your offset to GMT ZULU. I posted this to show the kind of new combat action that will be available in FA Futures Korea. All Naval combat, whether its air or sea based, all Ground based combat, and all Air based combat will be represented. The Electronic Battlefield will be better represented, with all ELIENT equipped aircraft and ground equipment represented in a more realistic manner, with all AWACs and JSTARs functionality available on the ingame map as well as recon assets (TARPS equipped F-14s, U-2s, Global Hawks, and Predators) plus continual intelligence updates ..
09-17-2015 - Work has begun on improving the M-163 Vulcan AAA vehicle to even higher levels of detailing. The hull skin and shape needs vast improvements and details such as hatches and antennas need to be implemented. The new turret with its excellent skin will not have to be changed, other than the cannon needs to be lowered horizontally for a ground engagement version of this vehicle for use in missions where these vehicles engage attacking ground vehicles and troops. 02-04-2015 - FA Futures Korea Progress worksheet updated. The FA Futures Project worksheet has been updated. The latest work that has been completed has been added to the list. Some items, after further study, have been removed as impractible or obsolete, while others have been added. All armored vehicles, AAA vehicles, SAM vehicles, and RADAR vehicles are being reworked after successfully implementing higher detailed skins and shapes (that include fully detailed cannons.) to improve gameplay immersion. How do I get ships/vehicles to engage air and ground targets at ranges greater than visual range? A. The method I have found to work the best is to create a long range visual seeker. Edit one of the VisXXX.See files, renaming it and giving it a range of whatever is necessary for your ships/vehicles to fully use their weaponry. I recommend a generic long range seeker that can be given to several (or all) of your vehicles. Give this seeker to your ships/vehicles in their hardpoints menu. Then, load up your ship/vehicle with whatever weaponry you want. Notes on weapons: 1. Make sure that ships can slew the weapons, and that all the weapons given to an object are secondary except for one. Secondary indicates that the vehicle doesn't need to "think" about targeting and firing it, and therefore will not turn toward the target. 2. Ships will fire all Air-to-Ground weaponry, and purposely-built radar-guided SAMs (designated as "Air-to-Ground"). Ships will fire air-to-air missiles with all guidance methods except radar. For a ship to fire an air-to-air missile, either semi-active guidance or active radar, they must be provided with a radar seeker. This can be in addition to an extended-range visual seeker. 09-22-2014 Railroads in North and South Korea... Railroads and railroad tracks development continuing for FAF Korea map for both DPRK (North Korea) and ROK (South Korea). Rail lines, stations, marshaling yards, rail bridges, switches, and of course the trains themselves are being developed to add more realism and to increase the number of targets available for strike missions. 06-23-2014 - Hi, every one, long time no see. 03-12-2014 - Mibbits ( www.mibbit.com ) as a IRC client (no download required) and irc.lightirc.com as the server. Makes a great solution for flying online behind a router without issues. Also makes a great place to launch ABA battles as well as coops. the site has an Fighters Anthology channel to make gaming that much easier. There are gamers on the site daily flying FA. Check it out! 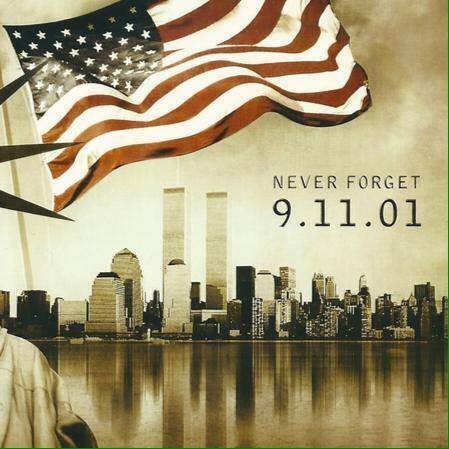 You can view the page on Facebook by clicking here . Click here to read further on the SimHQ Forums. Balkans Campaign Version 1.2 Released and running on Falcon Online. You can view the video on SimHQ by clicking here . 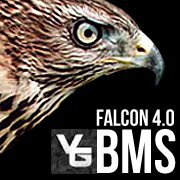 09-05-2014 - (From SimHQ) Falcon 4 BMS 4.32 Installation Guide (Updated) Falcon 4 BMS 4.32 is the best version of the venerable Falcon 4 F-16 simulation to date. Bringing in modern "features" such as a fully-working, fully-clickable 3D cockpit with working gauges while still retaining the depth of Falcon 4 all for the low, low entry price of $0.00/�0.00/EUR0.00 (price dependent on your location of course), it is no surprise that it is attracting people from the I-got-no-clue-how-to-do-the-Falcon-dance new pilots to those who've spent a few months/years with the various other flavors of Falcon (OF/FF/AF) and are giving the sim "another chance" to those who've flown Falcon 4 for over a decade and can recite checklists in their sleep. Another common source of confusion is the installer and Update process that BMS is using. It is quite unique and difficult to use at first, though it kinda makes sense after a few Updates smile So here is the install process that I hope will help new pilots get from "WTF?!" to "OMG, this RAWKS!" in as short a time and as pain free as possible. Please let all pictures load viewing the guide as they are integral to successful installation. We go in on an anti-armor strike on the Falcon Online Battle for Balkans. Enjoy! We go in as the aggressors to the Falcon Online Battle for Balkans. Enjoy! 2.After your download has completed, open Falcon BMS 4.32 Setup/Setup.exe and use default install settings. It will prompt you to select Falcon4.exe, which is included in the torrent you downloaded. Make sure that updates 1 through 6 are all selected. 3.After the main setup has finished, run Falcon_BMS_4.32_Update_7.exe. The installer will ask you to find your Falcon 4 BMS SETUP FOLDER. Not the folder you installed Falcon in, the folder for the setup EXE you just ran. 4.Once you have installed Update 7 into the setup folder, rerun Falcon BMS 4.32 Setup/Setup.exe. Check and run with �Check the Internet for product updates.� Verify that Update 7 is listed in the �Downloaded� column. Click next. Make sure Update 7 is checked under the Installation Overview. Click next, and let it install. 5.Once finished with both the main and update install, launch Launcher.exe, and click Launch. Verify that on the main menu, it reads Falcon BMS 4.32.7 and Build 12391. Unless both of these are correct, you will not be able to fly multiplayer. 6.Run the launcher again and select Configuration. Read the descriptions of the various options and set them to your preferences. Contrary to popular belief most of these options have no effect on online stability and are entirely client side. Click Apply before closing the window. 7.Download and install Tom's Korea 2015 Tileset by clicking here . Read more on the ViperInstructors website by clicking here . 04-21-2014 - (From SimHQ) I have found this nice article about a new form of training created to train F-16 wingman in Netherlands. I believe the most interesting part is the Figure 1: F-16 Wingman competencies (Van der Pal et al. 2009)- Inside it there is a summary about what are the skills required to have a basic knowledge and combat readiness and it can be used from a new virtual pilot. Many beginner wonder how to learn Falcon or what to learn, I think they will find an idea from that figure. You can read more on the SimHQ Forums by clicking here . 01-14-2014 - (From SimHQ) Tom's Korea 2015 Tileset now available. Tom's Korea tileset is a vast improvement to the Falcon 4 map and greatly improves game emersion. It makes Korea look less crappy. This is the Final version, updated 16th January 2015. You can read more on the Viper Instructors Website by clicking here . The new X-55 Rhino H.O.T.A.S. System is now available from Saitek on pre-order. List Price $199.99. 16-bit aileron and 16-bit elevator axis greatly enhance stick accuracy Adjustable stick force via advanced 4-spring system Twin throttles with friction adjuster and throttle lock Separate USB connector cables on throttle and stick units. H.O.T.A.S. configuration software enables programmable controls. Mad Catz Interactive, Inc. announced that the Saitek X-55 RHINO H.O.T.A.S. designed and developed to give flight simulation enthusiasts the a realistic flight experience at an affordable price, is expected to ship to consumers in early 2014. The X-55 RHINO is styled after modern fighter jet control systems and was built from the ground up to deliver a multitude of customizable options. An adjustable stick spring system allows pilots to alter the force required to move the stick and four springs of varying resistance are included to provide a total of five different options. You can read more on the SimHQ Website by clicking here . 05-22-2015 - (From Combat Ace) Development continues in both Strike Fighters 1 & 2 series of air combat games. New aircraft, shapes, skins, vehicles, ships, terrains, and campaigns are being developed and released daily. These addons require the appropiate Strike Fighters 1 or 2 software to use them. We are proud to soon release our first expansion pack for The Scandinavian Front. The Expansion pack will add many things that appear in Strike Fighters 2 for the first time. * Several new and unique aircraft to fly, amongst them the Saab 18, Saab 21, Myrsky, Fuga Magister and Avia S-92! * New cockpits for the De Havilland Mosquito, Saab 18, Saab 21 and the Fuga Magister by Stary; one of the best cockpit builders for Strike Figthers. Well, supplies are kept track of at both force level, and at individual unit level. The SupplyRates at the the top only apply to change supply at force level, and doesn't directly affect supply at individual unit. NormalSupplyRate is added after each mission if neither side is in offensive. OffensiveSupplyRate is added (or subtracted, its usually negative) instead if the force is in offensive (either air or ground). DefensiveSupplyRate is used if the enemy force is in offensive instead. SupplyForOffensive is the level of supply needed at force level for it to go into offensive mode. The offensive will generally continue until the attacking force runs out of supply (although it usually doesn't have to go all the way down to 0, there are several random triggers to stop earlier, I think Failure result by player has a chance to stop a friendly offensive, for example). Missions are usually CAP or Anti-Shipping. There are no IRMs in the game, and each mission is tough and some are just downright exhausting. Your wingies are not much help. Argentine Air Force A-4P and A-4AR (All previous owned) In 1965, Argentina contracted to purchase 50 surplus U.S. Navy A-4B Skyhawks for the Argentine Air Force (Fuerza Aerea Argentina, or FAA). After the aircraft were reworked at the Douglas facility in Tulsa, OK, they were redesignated A-4P "Caza" (Hunter). Twenty-five A-4B/A-4Ps were delivered to the FAA in 1966 and another 25 (A-4B/A-4P) were delivered in 1970. Argentina also purchased four A-4Bs (BuNos 144894, 144932, 145017, and 145053) for FAA non-operational use as spare parts sources. In Argentina, these aircraft will simply known as "Bravos". In 1975, Argentina purchased an additional 25 A-4C Skyhawks for the FAA. In 1994, Argentina contracted to purchase 36 surplus A-4M Skyhawks, to include engine refurbishments, rewiring, and avionics upgrades. Delivery of the refurbished aircraft, redesignated A-4AR Fightinghawks, began 1997. Argentina Navy A-4Q (All previous owned) CANA (Commando Aviacion Naval Argentina) purchased A-4B Skyhawks in 1971. These A-4B were reworked at Tulsa, Oklahoma. Argentina designated these reworked airframes A-4Q. CANA assigned numbers 0654 through 0669 to its 16 A-4Q aircraft, the numbers being painted on the vertical stabilizer. In addition radio call signs of 3-A-301 through 3-A-314 were painted on both sides of the mid-fuselage. FA Futures : Announcing Night Vision in FAF! <<<--------------- See end user screenshots! UPDATED : Night vision implemented in FAF Cockpits!... <------- Read the Cockpit Forum! Last Version of FA Futures Korea 2003 Summer Theater out now! Feedback: Interesting article on CAG's Corner. Over several of the latest flight sims that came out (really starting with Janes F-15, the later WWII, USAF, and to some degree Falcon 4.0), the producers of these flight sims raised the hopes of so many who wanted a game similar to what they were playing - just upgraded. Those hopes were raised so high - and the producers promised more than they could offer. Estimated times for arrival were delayed, and delayed and delayed yet again. The games finally came out - only to have the appearance they were rushed. Some of the features originally promised were never delivered. And so the cycle began, new game announced would be immediately met with pure hope that this is the one game where the designers listened to the gamers. Also met with immediate suspicion that this game would be just like the others - promised but nothing delivered. Upon testing the new game - instead of playing it for the sheer joy of flying - The game is often played to find some bug or some feature that was not there. Your 100% right, we do need to be positive and look at a new game like it was our very first flight sim. Even more so - game developers need to realize why this cycle was set in motion to begin with, and increase their communication with the flying community. Exactly like you have done with FA2.